A draft of the work of the Seattle mayor’s housing task force includes a big surprise: They have talked of doing away with the city’s single-family zoning. For all the construction cranes around town, the issue of growth and development has been surprisingly quiet in the Seattle elections this summer. Seems like that might be about to change. Tuesday, I got my hands on the draft policy ideas that Mayor Ed Murray’s advisory committee on housing is working on. And they are some of the most sweeping changes in the way Seattle lives and grows ever proposed around here. The committee of citizen volunteers voted 19-3 to recommend replacing single-family zoning with a “lower density residential zone” that would allow duplexes, triplexes, rooming houses and more backyard cottages and mother-in-law units in areas now dominated by single houses on lots with a yards. It’s unclear how much of the city this would include. Later, the committee co-chairs issued a statement saying the group “has no intention of recommending the elimination of all single family zones in the city.” But the draft report suggests the committee was considering exactly that. “In fact, (the committee) recommends we abandon the term ‘single family zone,’ ” the draft reads. An overview letter calls for higher density essentially everywhere in the city. “More 6-story buildings where there were 4 stories before, more 7-story buildings where there were 6-stories before, and more multifamily housing of all types in areas currently zoned for less density inside (neighborhoods designated as) Urban Villages,” the letter says. The draft report is a recent working copy of the mayor’s Housing Affordability and Livability Agenda (HALA) Advisory Committee. It is certain to undergo changes as the committee tries to reach a Monday, July 13, deadline for a final report. “My co-chair and I are very disappointed that you and The Seattle Times have chosen to undermine the efforts of the HALA, a citizen advisory group, by prematurely releasing an unapproved draft of our report,” Faith Pettis and David Wertheimer, the co-chairs, wrote in an emailed statement. I elected to publish it anyway because I have always felt these advisory committees on crucial topics facing the city should be open to the public, not conducted in secret. That said, it is just a draft, and it’s only an advisory committee. There’s no guarantee any of this will become law. In fact, the City Council on Monday put some restrictions on projects in low-rise multifamily zones, a vote in the opposite direction of encouraging more density that this report is advocating. But the report provides a window into the thinking of a group that has spent 10 months grappling with one of the toughest issues for Seattle government — how to grow and prosper without wrecking the city’s neighborhood soul, or, in turn, becoming an enclave only for the rich. “The politics of the issues appear almost intractable,” the co-chair letter said. A proposal to undo the city’s recent restrictions on “apodment” type micro-housing developments split the committee by a 17-10 vote. Pettis said that wasn’t enough of a consensus. Similarly, a proposal to study some ideas for rent control split the committee by a 13-11 vote — again, not enough of a consensus. The committee split 16-9 on the idea of creating a “linkage fee” assessment on new construction, with the money raised to go to subsidized housing. A spokesman for the mayor’s office said the committee is still working on this issue. The City Council also is likely to continue to explore this idea, whether the committee recommends it or not. The broader thinking spelled out in the draft report is that Seattle has a higher percentage of land dedicated to detached single-family homes than other big cities. This constricts our ability to accommodate the rising population and job growth. 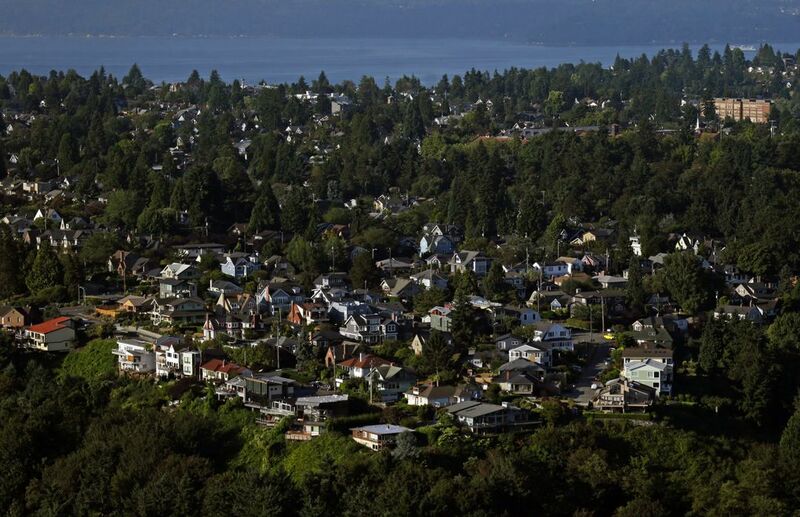 But the city also did a recent survey of developable land in Seattle and found there’s enough capacity under current zoning to add 224,000 housing units — 73 percent more than the current stock of 308,000. The final scheduled meeting of the advisory committee is Wednesday. It is not open to the public. Pettis said she knows the notion of changing single-family zoning is going to be a hot button.